Trine 4, the fourth installment in the popular Trine franchise, is honestly a fan’s dream come true. From the alpha build I watched the developers play through, it’s clear how much content and love was packed into this title. 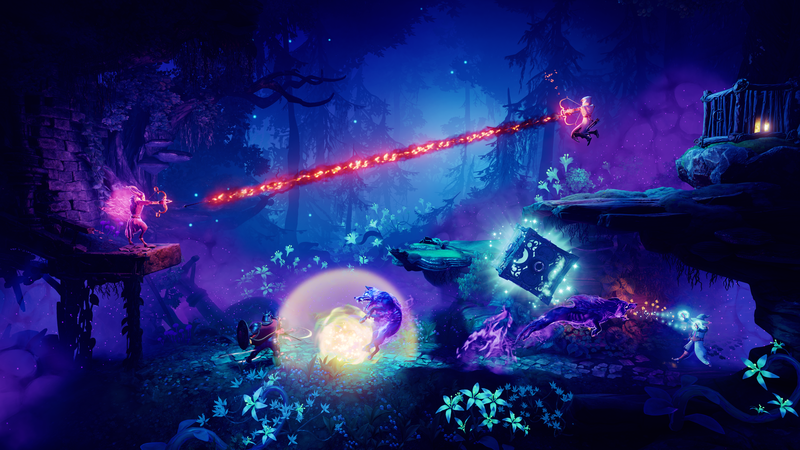 Longtime fans will be especially happy to know that not only has this installment gone back to its gameplay roots (following the very experimental Trine 3) but that the classic gameplay style is preserved with gorgeous 2.5D graphics. This time around the game focuses on Prince Selius, who suffers from intensely dark dreams. Due to his magical abilities, his nightmares begin to manifest in the real world and wreak havoc on the inhabitants. Amadeus the Wizard, Pontius the Knight, and Zoya the Thief must find the afflicted prince and resolve their desperate situation before the world is engulfed by the Nightmare Prince’s shadows. The heroes will also be forced to face down their own nightmares as boss fights at some point. As in previous games, each hero has unique abilities that work in tandem to solve a variety of environmental puzzles. The knight can perform a body slam that destroys platforms below him or launches him up on special springboards, as well as using his shield to reflect both light and projectiles. Wizards can make objects levitate, and the thief can fire arrows that have a wide range of effects. The skill tree system from Trine 1 and 2 also makes a return in this game, which enhances the innate abilities of each party member. Upgrading the thief’s skillset, for example, allows her to use different kinds of arrows, such as ice arrows that freeze any object they touch. Normal enemies in the game are summoned in certain nightmare areas, which also feature special nightmare platforms. According to the developers, these platforms change up gameplay; I did notice that characters needed to move around the environment with more care as they fight because of them, but hopefully there will be more effects in the full game. Boss fights are engaging and complex fares, as they require puzzle-solving to defeat. The boss fight I saw during the demo required the knight to reflect the boss’s projectiles back at him, as well as break down parts of the area and then reflect the exposed light beams at him to weaken him (since he was an undead type). Fortunately, not everything is out trying to kill you. There are friendly creatures scattered around that you aid, and they will offer you aid later on in return. One such instance is a giant black mother bird whose eggs you rescue early on. As thanks for that good deed, she comes back later to help you complete a puzzle otherwise impossible for the heroes to solve. 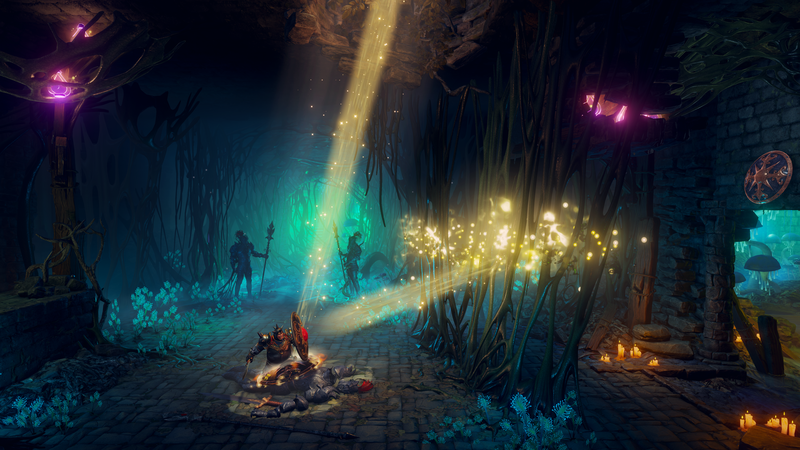 Of course, Trine 4 thrives on co-op and there are quite a few options to choose from. There’s both local and online co-op, with up to four players being able to join in at anytime. Unlimited Mode even allows for full control of party composition, so players can create a group of all knights, or two wizards and two thieves, or whatever other combinations that players can dream up. Co-op play has access to different, more complex solutions to the same environment puzzles compared to single-player mode. The game adjusts those solutions on the fly as players come and go, by use of prompts that ask if a recent puzzle needs to be restarted and made easier or harder. This is a very nifty quality-of-life feature that ensures players won’t be afraid to adjust their experience as they go along. What I loved most about Trine 4 is how much it encourages players to find unique solutions to every puzzle, each one having multiple ways of solving them. A good example of this came from the developers themselves, who showcased a highly effective rope arrow combination that they didn’t even know was possible to pull off until a week prior. So, naturally, they now use the move any chance they get. With fun and surprisingly deep gameplay mechanics, absolutely lavish environments (seriously, look at those screenshots! ), a great soundtrack, unique character classes, and punchy tongue-in-cheek dialogue voice acted very well, this new title is shaping up to be the return to the beloved roots of the franchise that fans have so eagerly wanted. 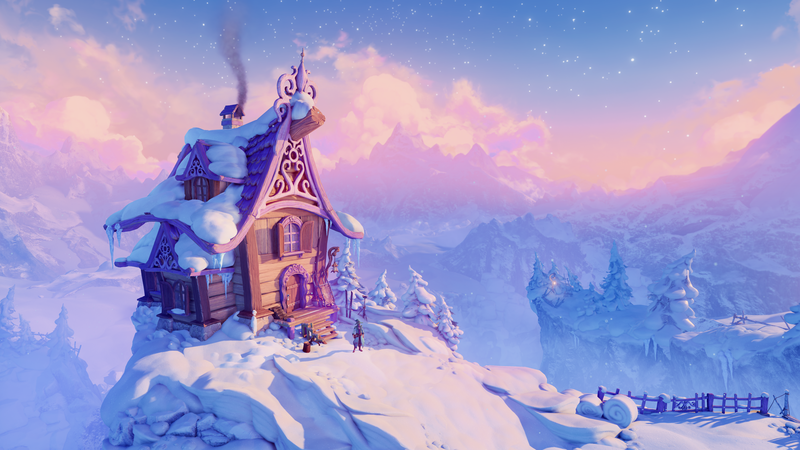 Trine 4 will launch fall of this year for PS4, Xbox One, Nintendo Switch, and PC.